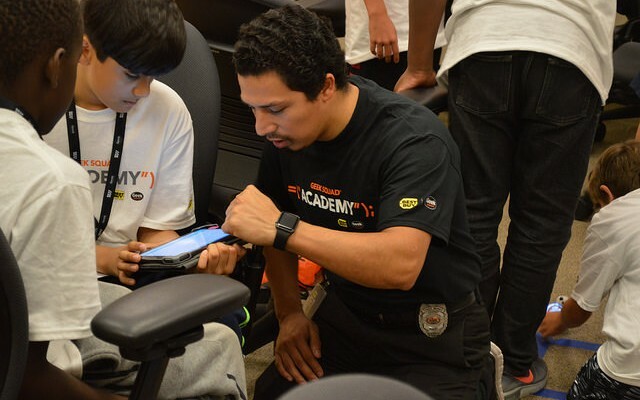 Geek Squad Academy has brought its commitment to serving the youth to its door step. This time we hosted the event in on our campus to give the employee and the youth a world class experience. The Junior Agents were able to make awesome songs, designed magnificent houses in Sketch Up, control their own BB-8 robot, learned HTML to create websites, and even learned a little bit about making safe and proper decisions in our ever-increasing technological world. We would like to Thank the Lakeville School district for providing the junior agents. We would like to thank the employees who participated and signed up as we cannot run these camps without you. Thank you for Best Buy’s Corporate Campus for hosting us, and providing a space where the junior agents can succeed.